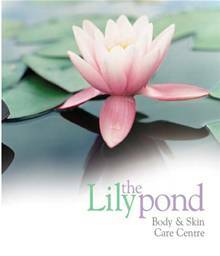 Welcome to the Lily Pond, serving Carmarthenshire with world-class body and skin care services and products. We hope these pages will help you contact or find the salon easily, decide on your treatments, and perhaps even encourage you to turn your visit into a day out in the stunningly beautiful Pembrey and Burry Port area. Right at the beginning, you should know that we use only world-famous Dermalogica natural products, with treatments by internationally qualified therapists. If you need any more information, just telephone 01554 833020. 52 Station Road, Burry Port, Carmarthenshire SA16 0LR.